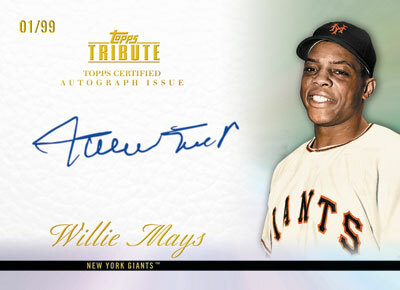 Topps has signed a multi-year autograph deal with the legendary “Say Hey Kidâ€, Willie Mays. Willie Mays Autograph Baseball Cards will appear in the upcoming 2012 Topps Series 1 Baseball, which is scheduled to release in February. Topps will then include Mays’ Autographs in Topps Tribute, Gypsy Queen, and more future releases. Besides the autographs – you’ll be able to pull a wide variety of relic cards from the Hall of Famer. 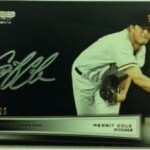 As for other releases, be sure to check out 2011 Topps Chrome Baseball and 2011 Topps Marquee Baseball, two great new releases from Topps. 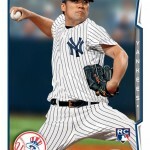 Topps Announces Release of Masahiro Tanaka Cards! 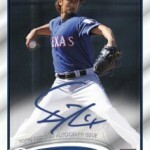 COUNTING DOWN TO 2012 BOWMAN BASEBALL…Collect Autographed AFLAC Cards From Tomorrow’s Stars! 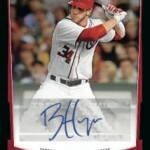 COUNTING DOWN TO 2012 BOWMAN BASEBALL. LOOK FOR 3 DIFFERENT LUCKY REDEMPTIONS!